When the weather gets a bit colder, radiators play a vital role in keeping our homes feeling warm and cosy. This is especially true in your bathroom, where your choice of radiator will help you relax and unwind. These days, you’ll discover a huge range of bathroom radiators, designed to enhance the look and feel of your space. Whether you’re designing a traditional style retreat or a contemporary spa, you’ll find the right radiator for your needs. Where are your pipes located? If you are looking to keep costs down, you could consider a simple like-for-like replacement with your existing radiator. However, if you wish to reconfigure the heating in your room, you will need to ask a plumber for a quote. If you’re hanging your radiator on a solid wall made from masonry or brickwork, you should have no issues with the size and weight of the radiator you choose. However, if you are looking to fit onto a stud partition wall, you will need to consider where you place it. You may also be limited to a certain size and weight. Which heating system do you have? A plumbed central heating, where a boiler heats water which is used in radiators around your home. An electric system, which doesn’t use water. Radiators are controlled individually in each room of your home. You will most likely stick with whichever system you have in your home, however, bathrooms are a little different to the other rooms in your home and you may want to save money by having individual control. If you are creating a new bathroom or cloakroom in your loft space or beneath your stairs, an electric radiator could be a much easier option. What is your required BTU? Depending on the size of your bathroom, number of windows and number of external walls, you will need to work out how powerful your heating should be. The heat output of each radiator is know as its “BTU”. Find out how to calculate your BTU. 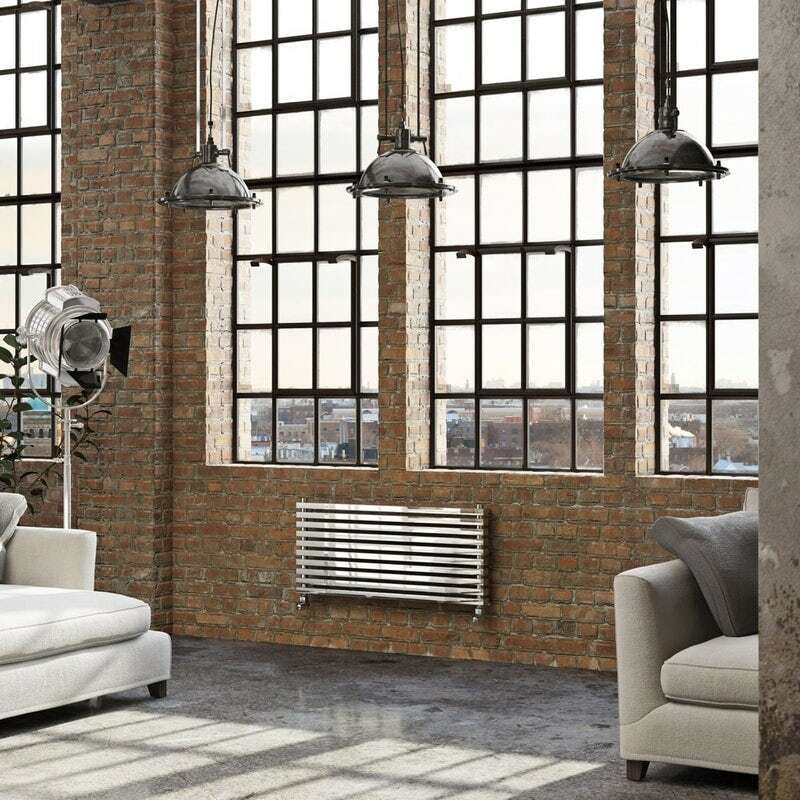 The most common type of radiator, found in homes around the UK, is normally placed horizontally across a wall and made from steel with a white finish. Designed with convector panels, this type of radiator is very efficient, despite not being the most attractive of styles. However, with modern manufacturing techniques, there are far more stylistic options open to you. We’ll start with horizontal radiators. These work well with pipework which comes through your floor. Great for placing beneath a window, they do take up quite a bit of wall space. Some do also come with an integrated towel rail, which help to warm towels. If not, you could look to buy a separate towel rail to match the rest of your accessories. A more modern option, these can be used to make optimum use of wall space, so you can fit around other items like toilets, basins, furniture, baths and showers. If your vertical radiator comes with a ladder style design, it could also be classified as a heated towel rail. Read our heated towel rail buying guide for more information on these. These are also available in slim, space-saving designs, ideal for small spaces, like cloakrooms or ensuites. Shop vertical radiators. Some of our more traditional designs are floorstanding radiators, meaning your wall type isn’t a major concern. Both horizontal and vertical radiators come in single and double versions. Single radiators usually have one row of panels and are ideal for smaller bathrooms, ensuites and cloakrooms. 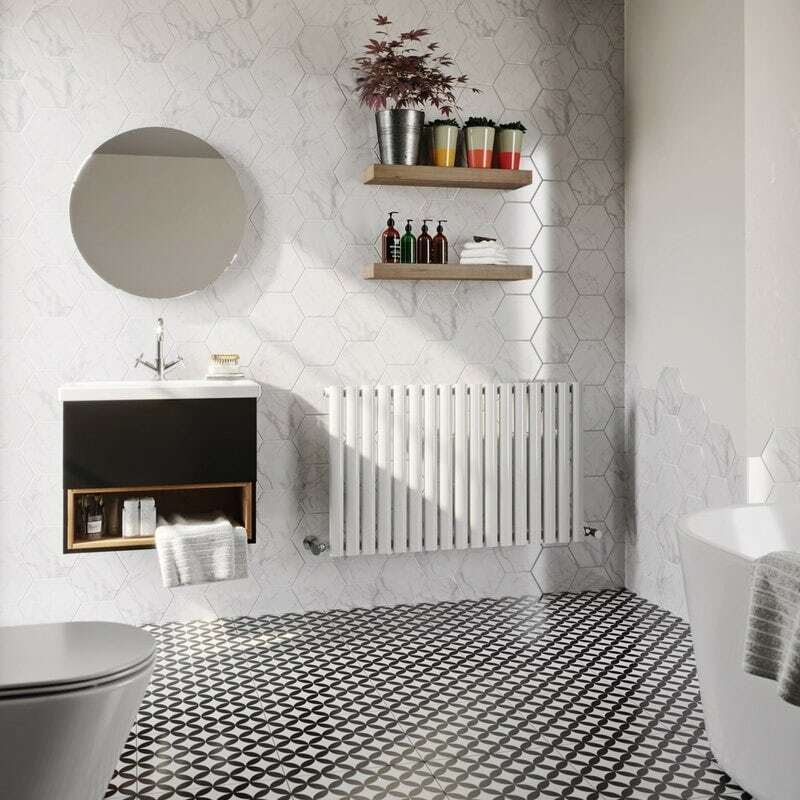 Double radiators, as the name might suggest, are designed with a double row of panels, providing greater heat output—ideal for larger bathrooms. 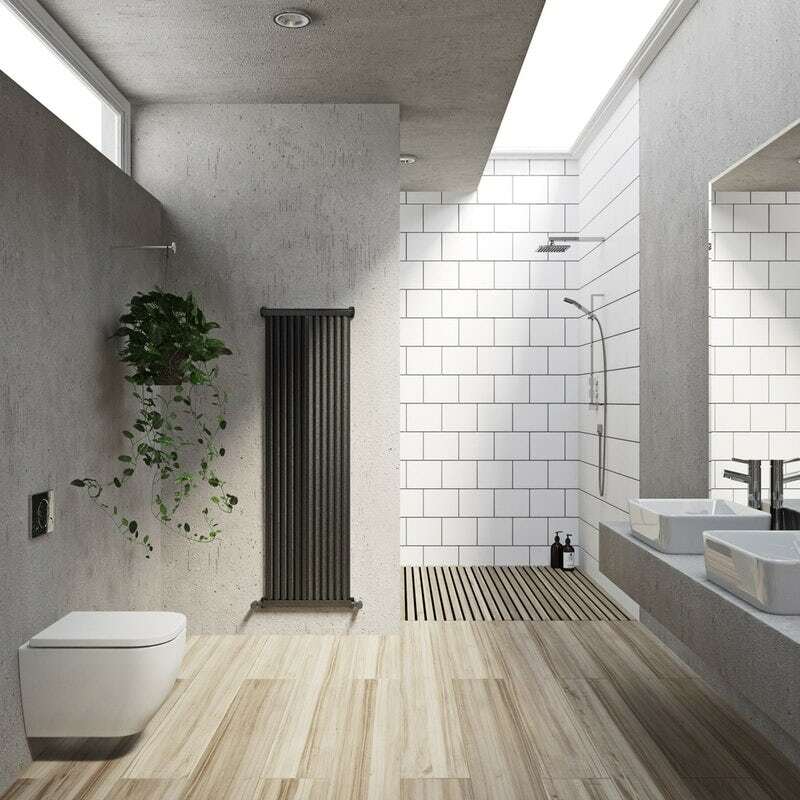 Mode Bathrooms is the home of contemporary design, and the home of our range of on-trend, designer radiators. At VictoriaPlum.com, you’ll discover a huge variety of designer radiators suitable for contemporary bathrooms. 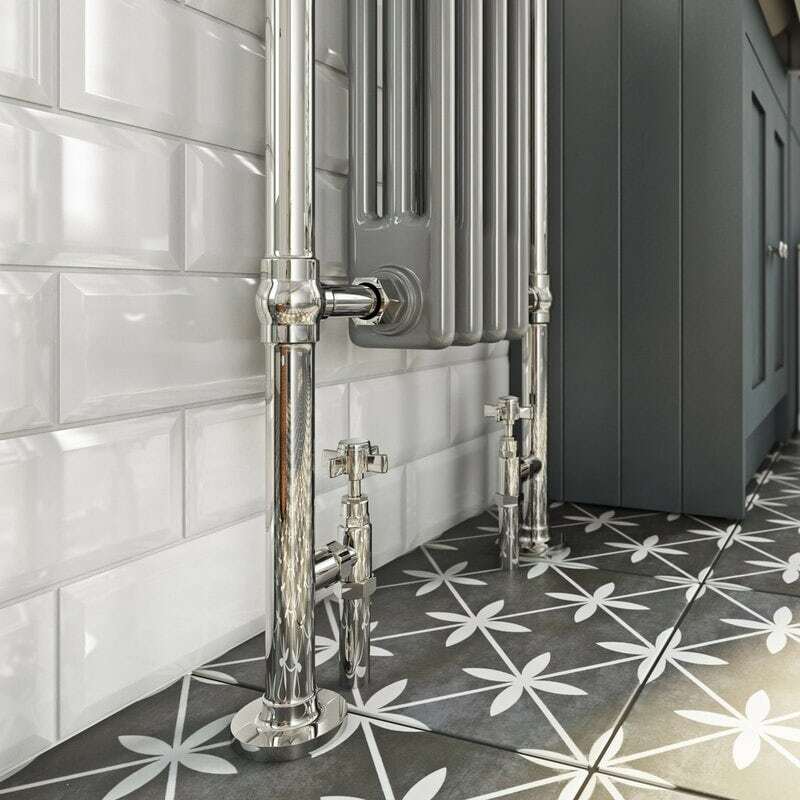 With slimline designs that are ideal for small spaces and multi-functional radiators, you’re bound to find a design that matches your bathroom. 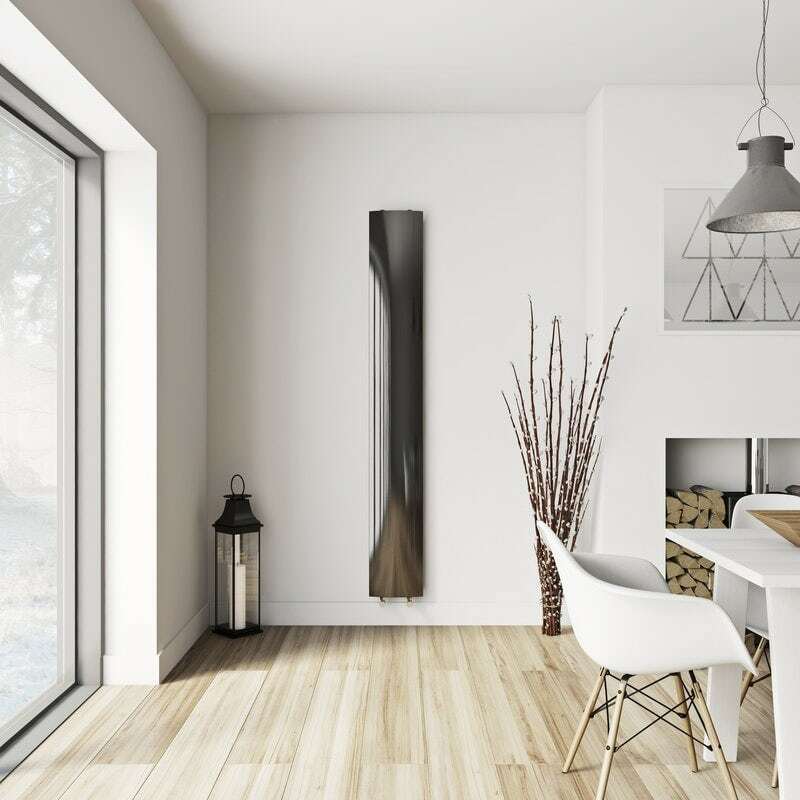 The Tate single vertical radiator is one of our bestselling designer radiators, featuring a grey anthracite finish and oval-shaped panels. Available in vertical and horizontal orientations, you can also choose either a single or double model providing the perfect BTU for your room. 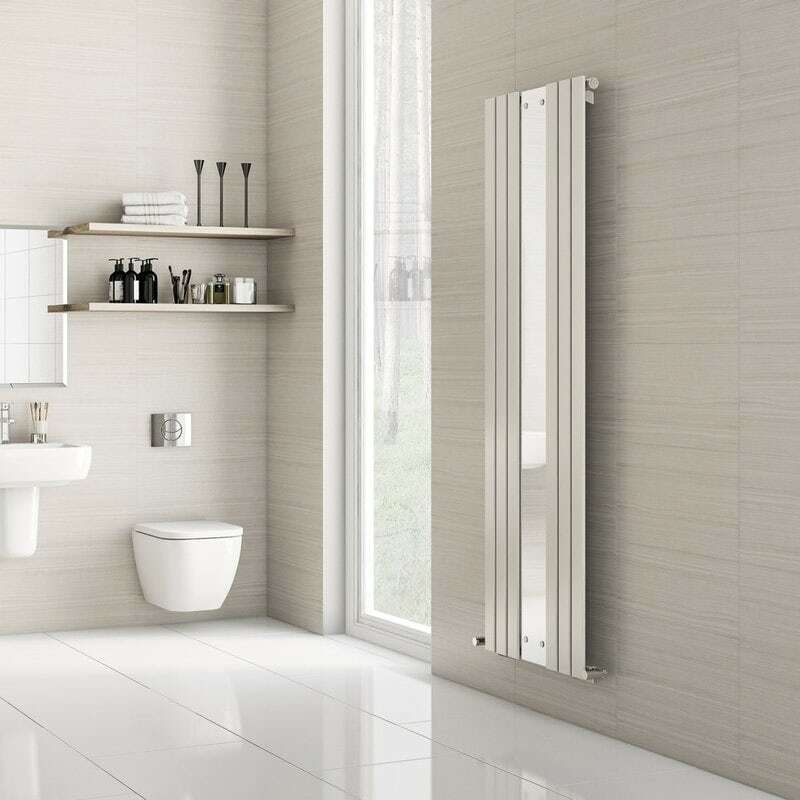 The Ellis vertical radiator with mirror is the perfect example of a multi-functional radiator. Containing a full length mirror, it enhances both natural and artificial light whilst keeping your interiors nice and warm. The Bath Co., is where you’ll find a fabulous range of classic designs to fit with classic décor. Available in horizontal and vertical designs, traditional radiators usually follow authentic vintage designs, like column radiators. 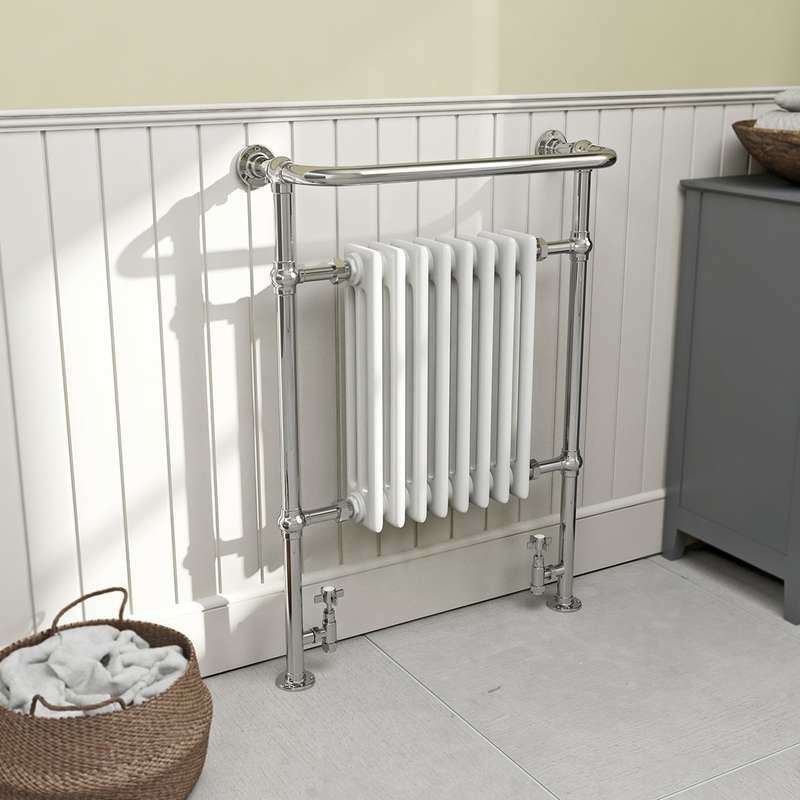 The Dulwich traditional radiator is one of our most popular, with a white enamelled core and sparkling chrome rails, it really does look the business. Many of our traditional bathroom radiators come as part of matching collections, like the Dulwich collection, to ensure your whole bathroom décor is coordinated. Certain colours help to aid heat transference, which is why, in the past, most radiators came in a restricted palette range. However, these days you certainly shouldn’t feel restricted when choosing your radiator finish. White radiators are quite commonplace and blend in well with a wide range of colour schemes. 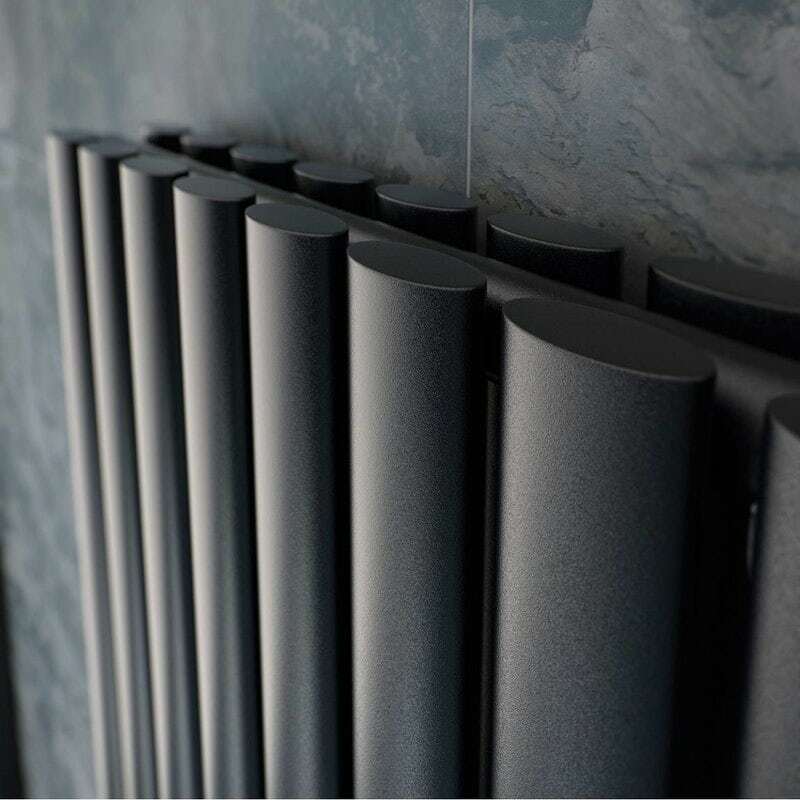 If you are looking to add a bold finishing touch to a contemporary or traditional bathroom, black radiators are great. Along with grey radiators, they can really enhance the look and feel of a monochrome bathroom. Metallics are on-trend right now, so you could add to your designer bathroom with chrome radiators or brushed stainless steel radiators. Shop metallic radiators. An excellent material used in the manufacture of radiators, mild steel is robust, can be easily shaped and helps to keep production costs low. This means mild steel radiators are ideal if you’re working to a budget. To keep them rust-free, ensure you use central heating inhibitor. Aluminium radiators are renowned for being light in weight, making them ideal for stud partition walls, and incredibly energy-efficient, heating up quickly. They are also widely recyclable when they come to the end of their life, which means you can have an eco-friendly bathroom. 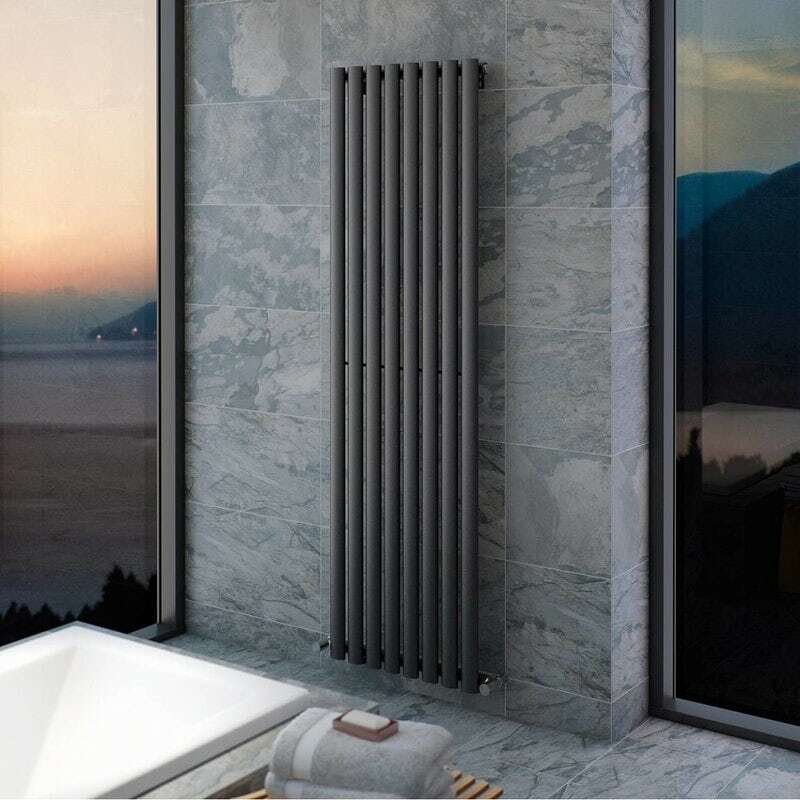 Producing a look that is incredibly stylish and desirable (see below), stainless steel radiators are a premium choice for bathrooms. With anti-rust properties, they should require little or no maintenance over the course of a lifetime. Of course, if you are choosing a certain style of radiator, you will need to purchase a set of valves to match. Depending on how your pipes are positioned, you will need to choose either angled valves (for pipes which come out of the floor) or straight valves (for pipes which run across the wall). Now that you have a good idea what to look out for, why not shop our range of bathroom radiators today. We’ve no doubt you’ll find the perfect size, shape and style to suit your bathroom. 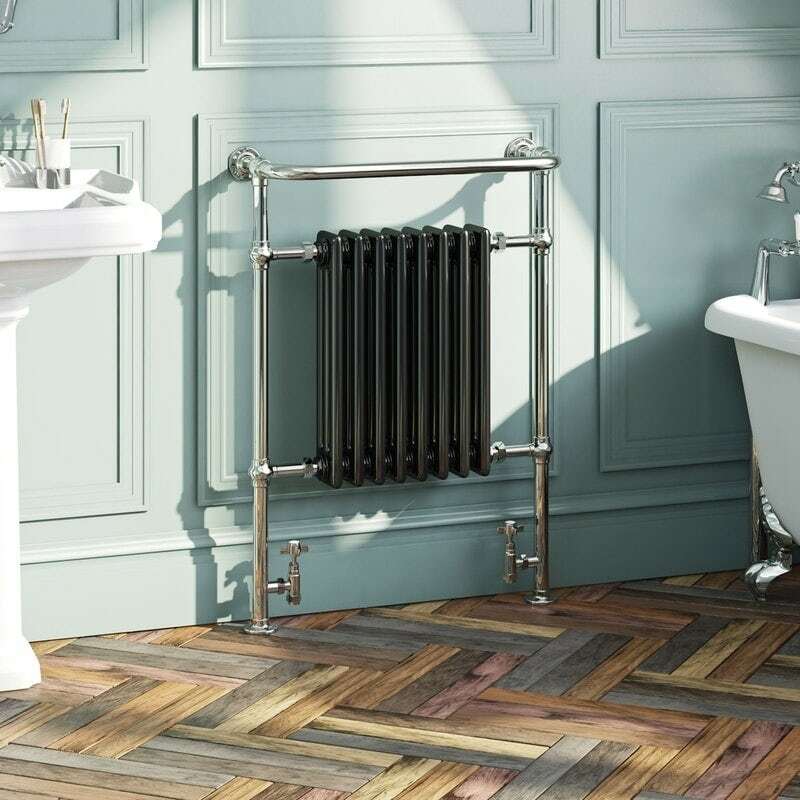 Spreading the warmth to your bathroom and beyond, we've picked out 5 of the most stylish column radiators for hot home interiors.